Recording piano can be tricky. It’s a physically huge instrument with over 7000 moving parts, a fundamental frequency range from 27.5 Hz to 4186.009 Hz, plus harmonics that resonate well beyond this range. Large capsule condensers on the hammers. You’ll hear four pianists all playing on a Yamaha C6 grand piano. The five recordings included in this article will allow you to compare how the miking techniques affect the sound of each genre. The piano and the room in which you’re recording are the first things to consider. Every piano has a different sound and the room makes a difference in how frequencies travel. Have your pianist play while you walk around the room listening for mic placement possibilities and for potential trouble areas. You’ll also want to experiment with different lid positions and some people even remove the lid. Only try this if you have a second person with you and take care to not bend the hinges as you remove the lid. Personally, I like the focused reflections that the lid produces. 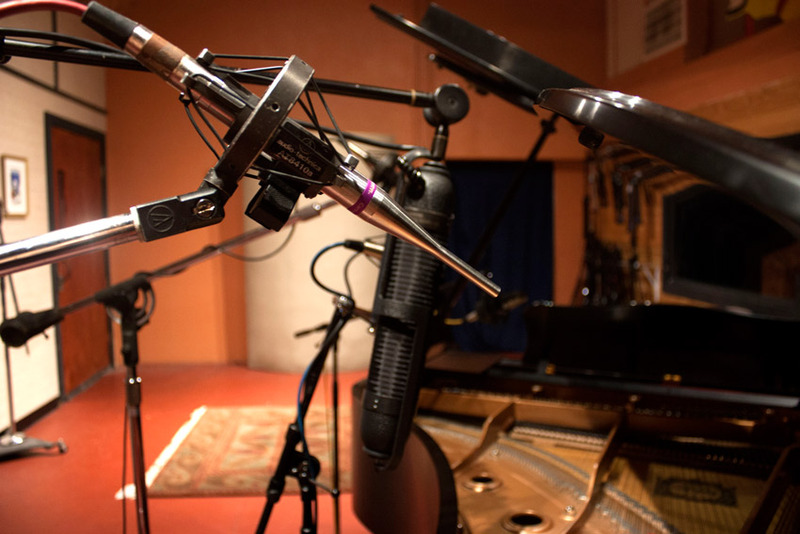 Be aware that placing directional microphones too close to the soundboard within the piano might result in proximity effect issues especially toward the lowest strings. If you want to place a microphone near the soundboard use an omnidirectional mic or secure a PZM mic to the inside of the lid. This is usually more popular to do in live performance setting and less so in the studio environment. Many thanks to the incredible musicians that came to the studio to record piano for this article! Thank you, Audrey, for another excellent tutorial. Mike. Community member Audrey Martinovich has been an audio engineer since 2010. Since then she has switched to studio and on-location recording mostly. She owns Audio for the Arts with her business partners Buzz Kemper and Steve Gotcher and they specialise in classical music, acoustic instruments, and are highly sought after for corporate recording. in this article, she is going to share her experiences and techniques for recording a variety of stringed instruments.